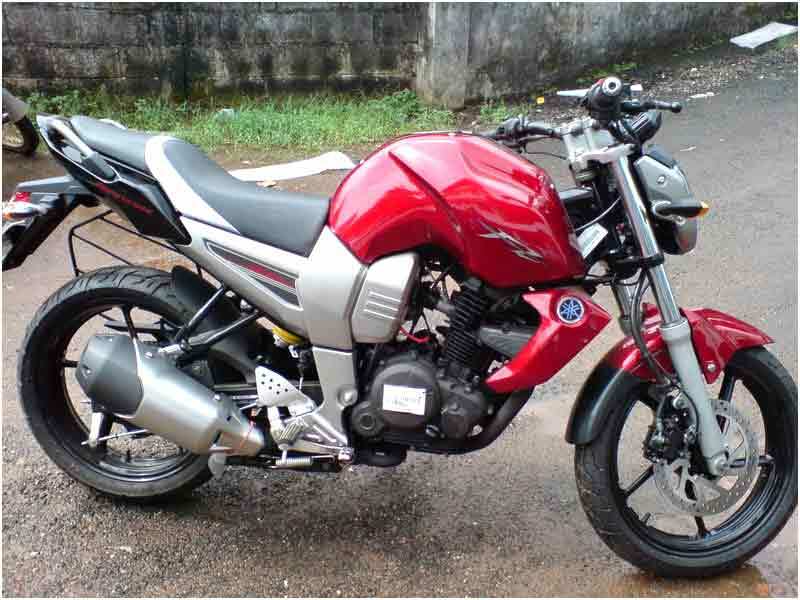 Yamaha FZ16 is the global FZ1 inspired bike with perfect figure and wonderful handling. Check out the review to view the features, technical specifications & price. Yamaha Motors, which seemed to have lost momentum in the Indian market, has come back with the successful launch of YZF R-15 and FZ-16 to re-set their market share in the motorcycle industry. The new FZ 16 is a trimmed down version of Yamaha's global bike FZ1. The fuel tank is huge and gets the curvy shape and it rises to the height of the handlebars. Most part of the fuel tank is plastic fairing and the real steel tank lies underneath. Instrument Cluster has a unique layout and it is colorful too. It looks just smashing and the bike fanatics in the country will go crazy just at the catch of a glimpse of this eclectic modern bike. The air-cooled single cylinder motor has a bore x stroke of 58.0 × 57.9 mm translating into a long stroke configuration tuned for low-end and mid-range grunt. The engine has the conventional 2-valves head and it is fed by a 26-mm Mikuni carburetor. The carburetor is equipped with Yamaha's 3-position TPS (throttle position sensor), which works in tandem with the advanced ignition system. The CDI has a 3-dimension mapping control for more versatile power delivery to suit different riding conditions. The power and torque of FZ-16 doesn't break any new grounds, but it produces enough punch to make it one of the quickest bikes in its class. The 153cc engine has 14PS of power at 7,500rpm and 14 Nm of torque at 6,000rpm. FZ16 speeds from 0 to 60 kmph in 5.6 seconds. The gear ratios are well sorted out to give the bike a good mid-range thrust. The 5-speed transmission on the FZ 16 is super-fine and it offers precise shifts even at higher revs. FZ-16's elegant look is largely attributed to its large curvy tank. The well-designed centre panels give a look of pseudo-twin spar frame and they are perfectly in sync with the sharp and edgy tail panels. The headlights and the exhaust have been designed well. 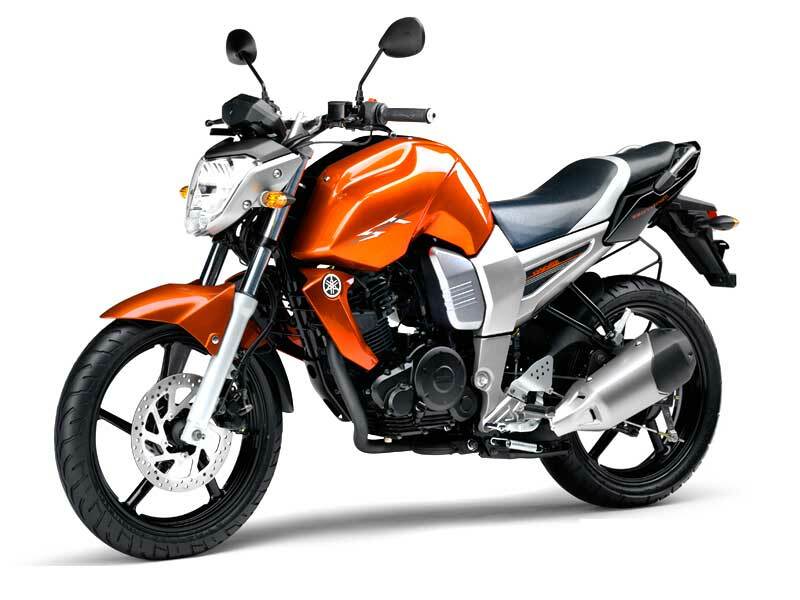 The short and stubby exhaust is copied from Yamaha's international FZ1 and it successfully complements the bike's compactness. The wide flat handlebars, the macho tank, rear set pegs and low seat height all together contribute to the comfortable riding posture. The clutch is handy to use and the gearbox is quite smooth. 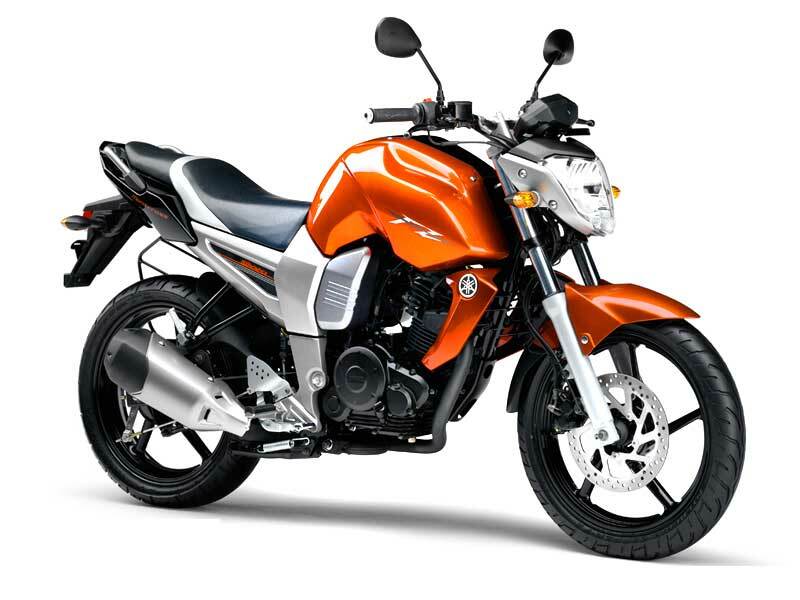 The engine provides ample torque to ride the bike at slow speeds and pulls up strongly in higher gears. It is definitely a wonderful bike for handling the traffic with its wide handlebars and good low end power delivery. The engine performs very well with no signs of fatigue or vibrations even at high speeds. The 41-mm telescopic front forks and the huge monocross suspension at the rear can maneuver the potholes easily. Braking is executed by a 267-mm disc on the front and a 130-mm drum at the rear. The tyre and the strong chassis provide a good traction without any chance of skidding. Designed for bike lovers, Yamaha FZ16 promises a mileage of 35-40 kmpl. FZ 16 comes in three different colors; Lava Red, Midnight Black and Flaming Orange. The ex-showroom Delhi price of the bike is Rs 65,000/- and same to all the major Indian cities.